On November 8, 1895 German physicist Wilhelm Conrad Röntgen discovered electromagnetic radiation in a wavelength range known as X-rays. This discovery earned him a Nobel Prize and laid the foundation for the new medical discipline named radiology. 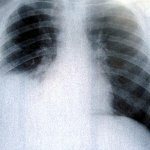 Radiology uses a variety of imaging techniques (including X-ray radiography) to diagnose and treat disease. In 2011, the European Society of Radiology (ESR) launched the European Day of Radiology to commemorate the anniversary of Röntgen's death. The first and only celebration was held on February 10, 2011. The next year, the ESR entered into cooperation with the Radiological Society of North America and the American College of Radiology and launched International Day of Radiology (IDoR). IDoR focuses on promoting the role of medical imaging in modern healthcare. It is celebrated in many countries. Events held on the occasion are typically organized by national societies of radiologists and other health care professionals.